Looking for an out-of-this-world greeting for a very special stargazer? 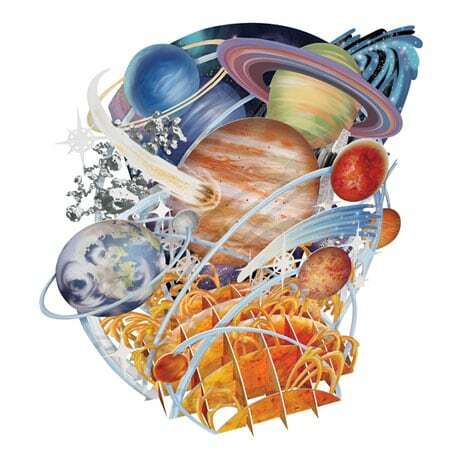 This cleverly engineered stationery folds flat (6"x6") for mailing, but smoothly transforms into a free-standing, 3D collage of the solar system: planets, moons, asteroids, shooting stars, satellites, and all. (There's space for your own message on the back.) It's a dazzling intergalactic display sure to be treasured by aspiring astronauts and astronomers of all ages. Single card includes envelope; extra postage required.